Sony is currently under fire by a lot of fans because of the prices that have surfaced in the PlayStation Now beta. There is no sign of a subscription price yet, but sample prices have appeared for individual game rentals. PS Now has previously produced reactions ranging from excitement to skepticism, but this time, the reactions are mainly negative. Examples prices seen include Final Fantasy XIII, with a four-hour rental for $2.99, a seven-day rental for $5.99, a 30-day rental for $7.99, and a 90-day rental for $14.99; and Deus Ex: Human Revolution, with a four-hour rental for $4.99, a seven-day rental for $6.99, a 30-day rental for $14.99, and a 90-day rental for $29.99. The most disturbing thing is that you can buy a retail copy of some of the games cheaper than the higher rental prices. PS Now has a lot of potential, with the chance of backwards compatibility, a new way to rent and demo games, and save data that works with the cloud–users have confirmed that data backed up to the cloud from your retail game can be accessed by the PlayStation Now game. With any luck, Sony will respond to the pricing backlash. After all, that’s what betas are for. At last, we’ll finally get a better look at PlayStation Now. The game streaming service, which is set to deliver streamed games for you to play on your PS4, PS3, PS Vita, and select TVs, has gotten many fans’ attention with the promise that you can play quality games you don’t own, either on a rental or subscription basis. Of course, it’s also raised concerns about how good the quality will be when it relies on a steady Internet connection. We haven’t gotten to hear too much about PlayStation Now, as the lucky players who have been testing it in a closed beta for both the PS3 and PS4 have been bound by non-disclosure agreements. Other than the occasional leak, we’ve been in the dark. But soon it will be in open beta (which means you can try it out without an invitation). Near the end of May, we heard some things that suggested an open beta for PS Now was on its way, and it was confirmed at E3. On July 31, PS4 owners will be able to try out PlayStation Now. Are you going to try it? What are you looking forward to the most? Be sure to share your thoughts both now and when the beta begins. PlayStation Now, which will allow players to stream games to a variety of systems, has garnered a lot of attention. However, there’s still a good deal we don’t know about it, because players involved in the closed beta are bound by non-disclosure agreements. The beta started on the PS3 and recently spread to the PS4, but other than a few leaks related to load times, we’ve heard very little. This is the first we’ve heard of PlayStation Now getting an open beta, which would allow anyone with a PS3 or PS4 (or more systems, if it’s expanded further by then) to try it out and submit feedback. Would you be interested? With any luck, we’ll learn more at E3. When a selection of PS3 games mysteriously appeared on the PS4 last week, we thought it might be a sign that the beta for PlayStation Now was on its way to another console. Well, if you have a PS4 and have been hoping to try out Sony’s game streaming service, we have good news. Starting today, the beta program for PS Now has expanded to include the PlayStation 4. If you signed up to join the beta, you should check your email, because new invitations and vouchers have been sent out to both PS3 and PS4 players. And if you haven’t signed up yet, you still can. What do you think lies in the future of PS Now? We’re excited to hear more about PlayStation Now, and how it could bring great games and even a degree of backwards compatibility to the PS4. Sadly, participants in the beta are bound by non-disclosure agreements…not that it stops a few players from anonymously revealing information anyway. Such a source has provided Dualshockers with a look at the PlayStation Now load times, and how they have improved from the first phase of PlayStation Now. Of course, this is just one user’s experience, but these load times and their improvements are very encouraging. 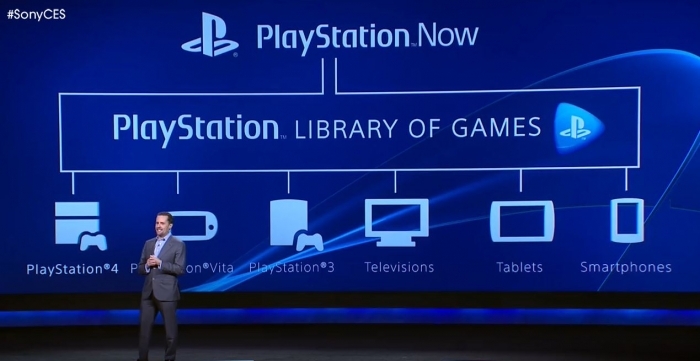 We look forward to hearing more about PlayStation Now, and we’ll keep you updated. Yesterday, something very interesting happened to a few users browsing the PlayStation Store. They found rental options for the game Catherine. One user took a screenshot of the page and tweeted it to the site PSNStores, which then checked it out. Catherine displayed options for 1-day rentals, 7-day rentals, and 30-day rentals. 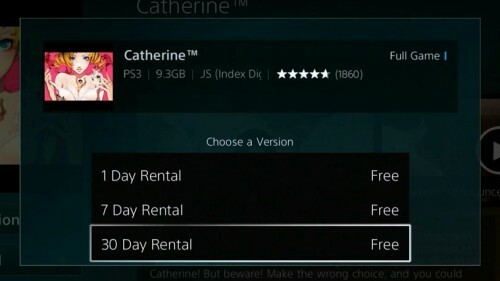 According to the article from PSNStores, if you attempted to choose one of the options, it would allow you to check out, but the rental would not appear in the download list. However, it was still added to the list of transactions. The rental options have since vanished from the PlayStation Store, so we can’t find anything else out. 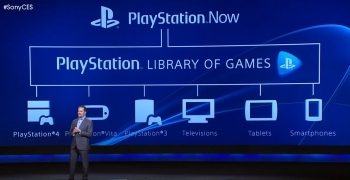 However, we can speculate that this is related to PlayStation Now, which will allow players to stream games. The closed beta for PlayStation Now is currently underway, so perhaps we can look forward to official news in the new future. E3? Even sooner, at GDC? We’ll keep you updated. Some players are cynical about the prospect of a rental service, feeling that companies would refuse to be a part of it because they would see fewer sales. On the other hand, as we noted in the past, that argument applies equally well to PS+, which frequently sees a selection of strong titles. Would you rent a game to stream on your PlayStation console? At the start of the month, Sony unveiled its plans for PlayStation Now, the streaming service which will allow people to stream older games to their PS3, PS4, and other devices. Starting today, select players will be invited to test the beta for PlayStation Now and find out how the service performs. 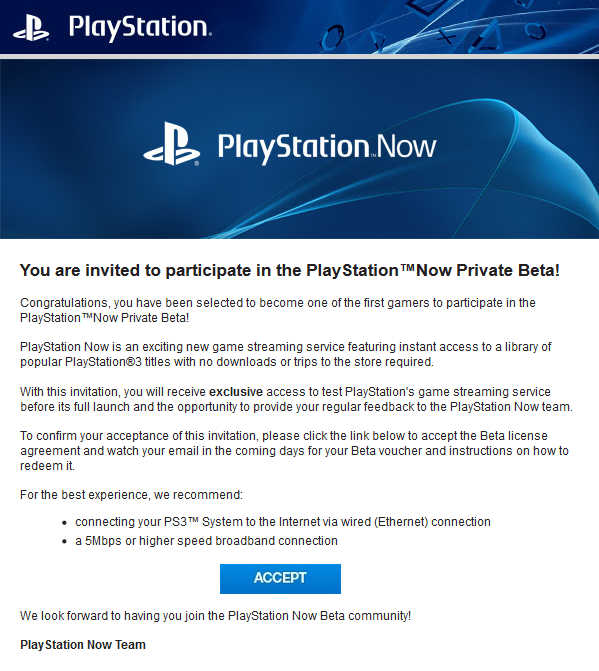 Beta testers are being chosen from amongst those who signed up for the PlayStation Now Newsletter. The invitation recommends you connect to the Internet with an ethernet cable, with a speed of at least 5mbps. Players must sign a non-disclosure agreement in order to get access to the beta. The current beta is for the PS3. Since future rounds of invitations may be planned, interested players can still sign up for the newsletter for a chance of being chosen. While Sony’s PlayStation Now service was announced as a new sort of backwards compatibility, a feature that would allow players to stream older games to their PS4 console, new information has suggested PlayStation Now will only be for PS3 games, while the PS4 will actually be able to emulate PS1 and PS2 titles itself. In fact, Sony may not only implement internal emulation software, but also make it so that the emulation could enhance the graphics by presenting the older games in HD resolutions. The performance of games using internal emulators would be superior to that of those being streamed through something like PlayStation Now, although there is no reason why PS1 and PS2 games could not be added to that service as well. There are no definite details or official announcements yet, so everything is still in the realm of speculation. However, if Sony implements an actual backwards compatibility service that allows PS1 and PS2 disks to play on the PS4, fans will be ecstatic. Even if only downloaded titles can be played, the emulation decision should still meet with praise. Sony has officially revealed information about PlayStation Now, the streaming service built on Gaikai. Their earliest announcement of it generated much excitement with the news that it would allow players to stream video games from previous generations, and now more details are known. PlayStation Now will stream games to the PS4, PS Vita, PS3, and Bravia TVs, with further support to come. Players using a Bravia TV will still need a DualShock 3 controller. Players have an option of how to pay for the service—they can either rent individual titles or purchase a subscription. The rental option is also a way players can try out a game they are considering buying. Prices have not been revealed, as Sony hopes to gather feedback from the community on that and other issues. An Internet connection with a speed of 5MBPS and higher is recommended. Sony may implement a feature so that if a player loses their connection while streaming a game, the game will remain responsive. A closed beta will be available for people to try by the end of January, although details on how to access it have not yet been revealed. The United States mainland will have access to PlayStation Now first, with information about its availability in other regions to be announced in the future. The first games to be available are all PS3 titles—none have been officially confirmed, but tech demonstrations are being performed with Beyond: Two Souls, The Last of Us, God of War: Ascension, and Puppeteer—but Sony plans to expand to games from other generations as well. PlayStation Now will also involve cloud storage of saved game files, so players can log into their account from multiple devices and have access to their games. Streamed games will have trophy support, multiplayer support (for games that normally have multiplayer modes), and will be the most recent version of the title.